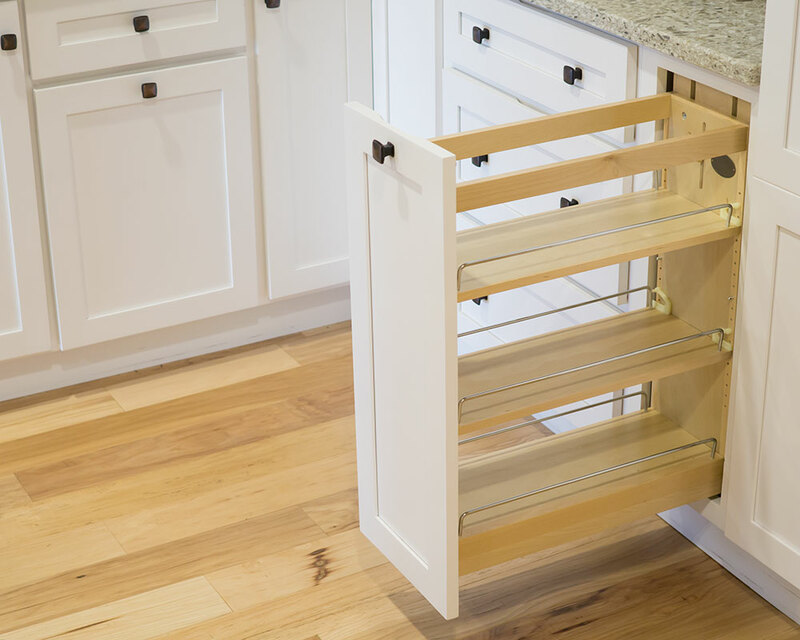 The key to the perfect kitchen is organization and accessibility. By storing and organizing your kitchenware in easy to reach places, you make your kitchen easier to use in day to day life. 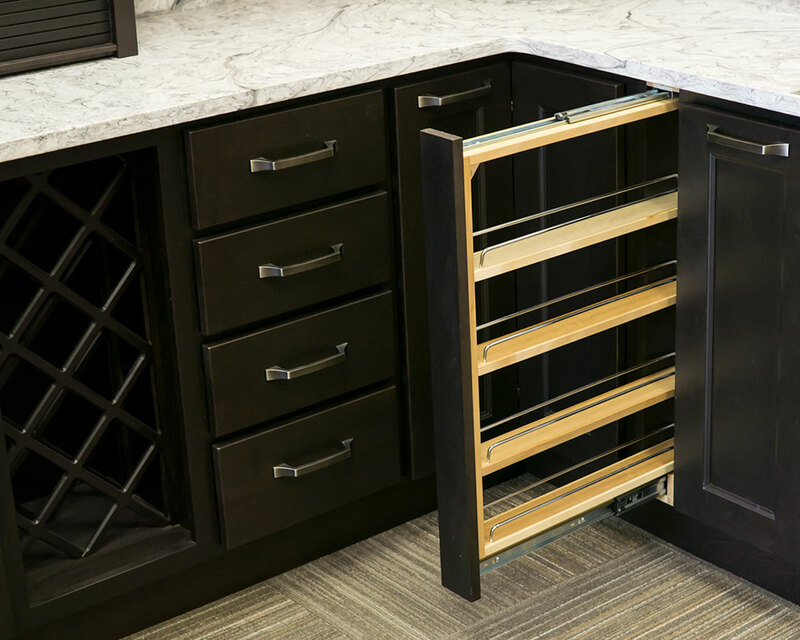 Unlock the hidden potential of you kitchen by extending your storage with these essential features. The compact width is perfect for easy access to your spice collection, cooking oils and more. Features adjustable shelves with chrome rails, full-extension ball bearing slides and three slide design provides the most stable function on the market. 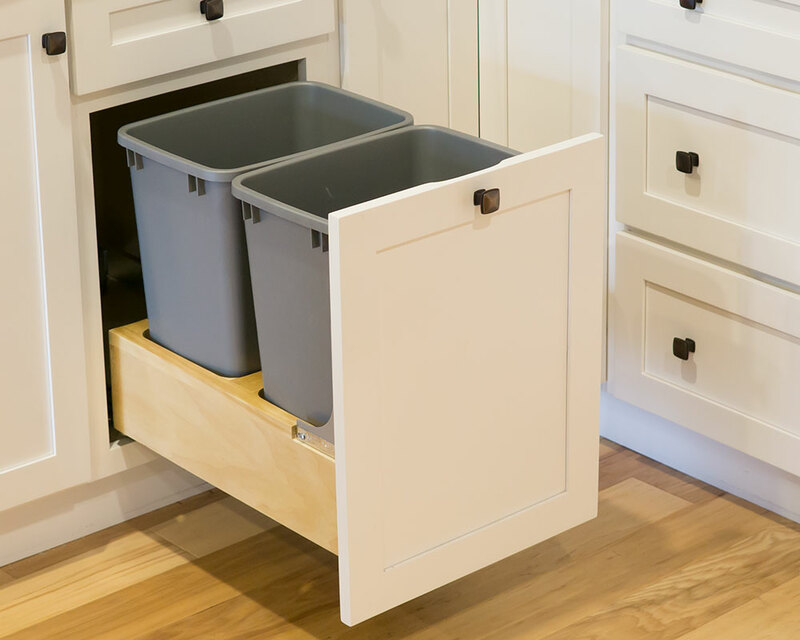 Keeping trash and recycling bins out of sight and conveniently accessible is a must for inline kitchen cabinets. 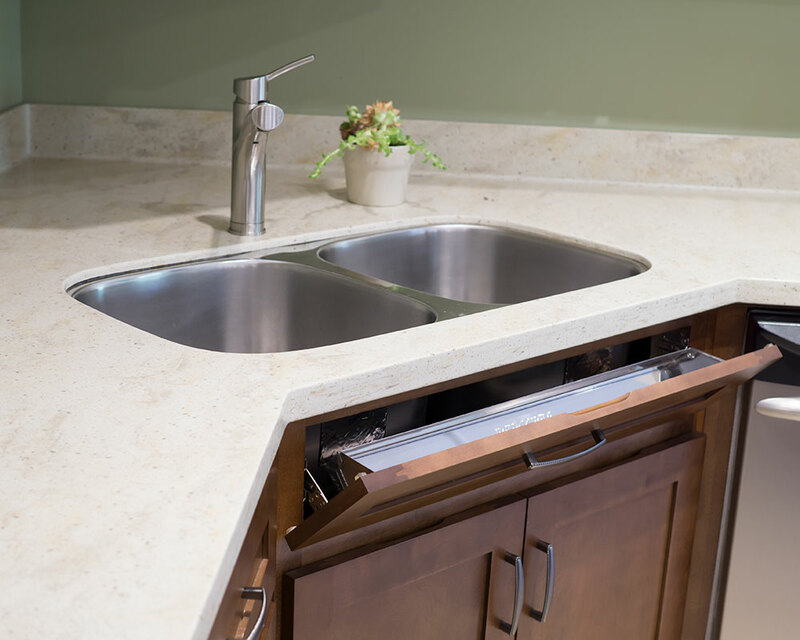 The popularity of the slide out recycling center can now be found in kitchen islands and laundry rooms. Nothing complicates the culinary process more than having all of your utensils inaccessible and buried in your cabinets. 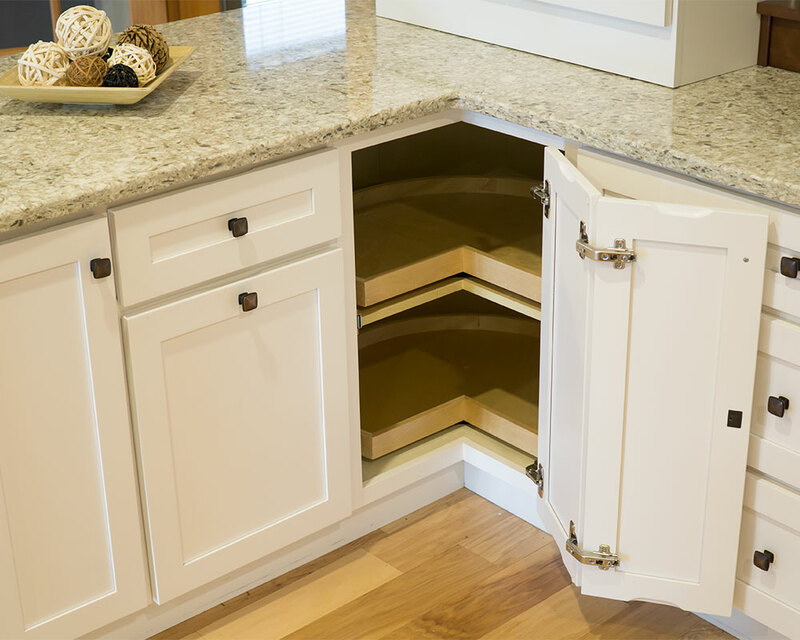 Solve your storage problems with our collection of culinary features. 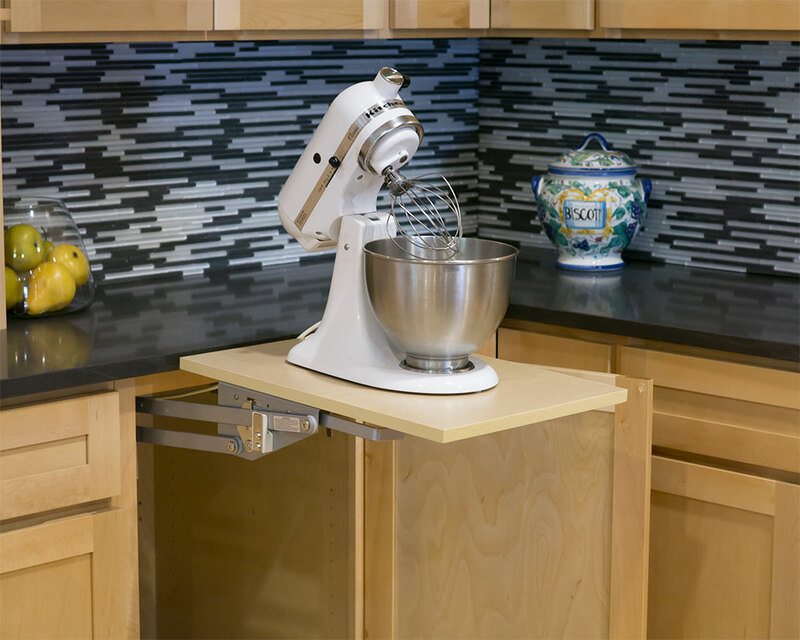 With cabinet space permitting, the mixer stand is by far the chef’s best friend. We all know how much you can do with that certain name-brand mixer but may not utilize all the features due to accessibility. This spring assisted platform is easy to use and hides neatly away. 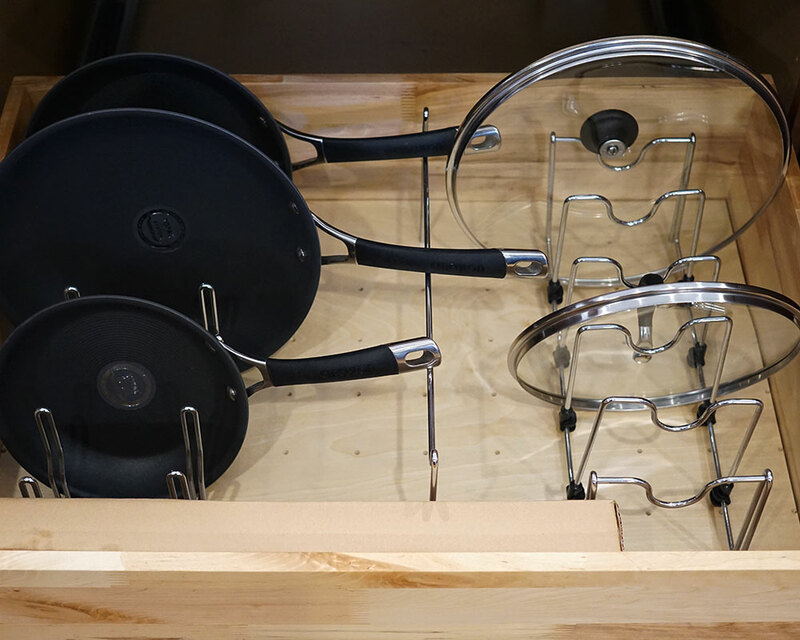 Store your pots and pans out of sight and in an easy to reach spot with a base slide out. 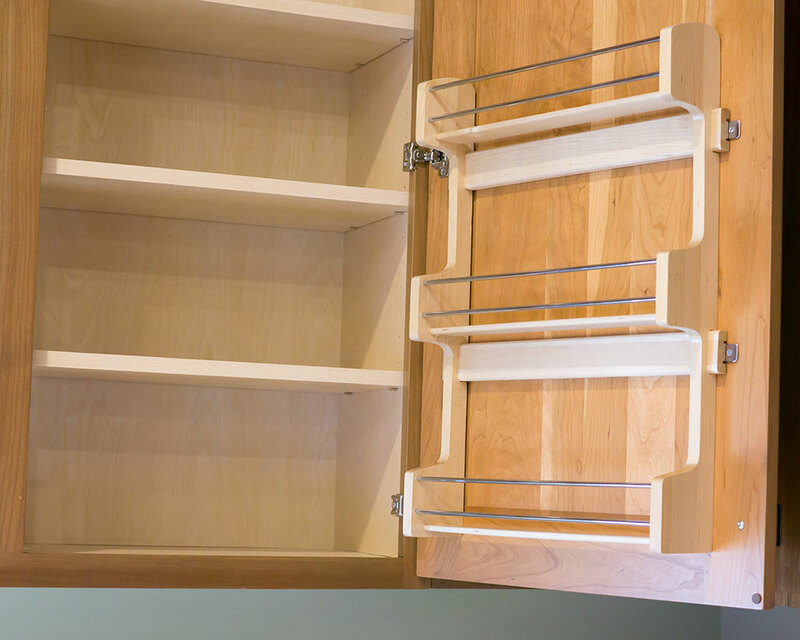 Keeping these bulky items out of your cabinets frees up more space for other items, as well as making them more accessible. 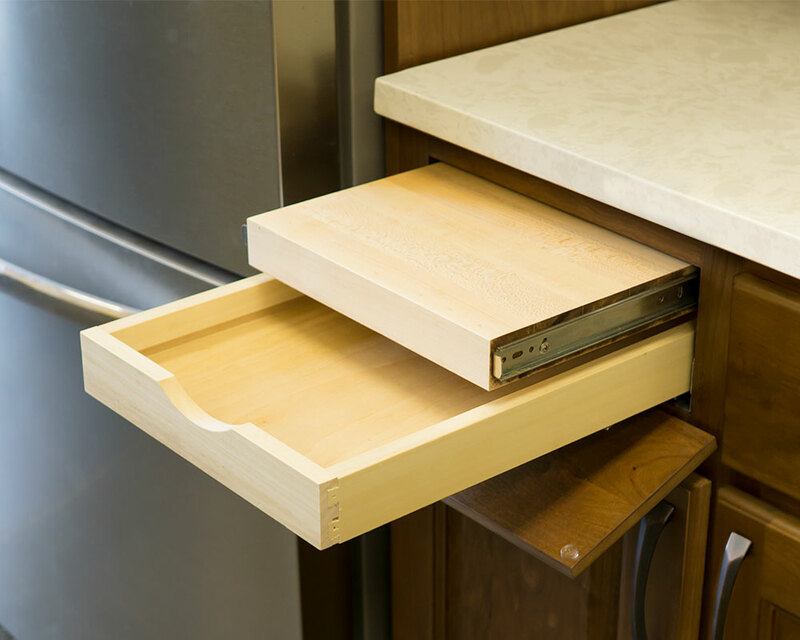 Soft-close and more drawer space…who could ask for more? Now you can get both with our four sizes of tiered soft-close cutlery drawers. 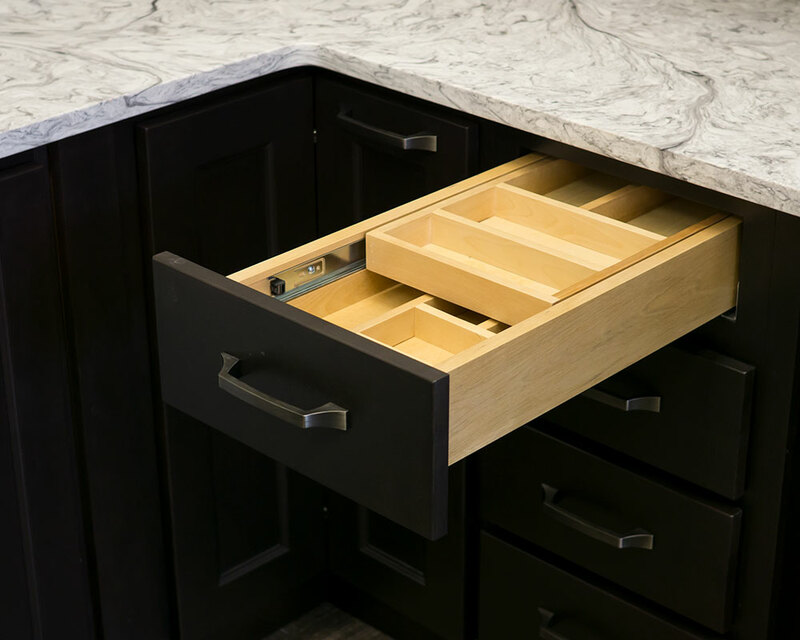 The unique design provides two tiers for double the storage capacity and the pre-assembled drawer box allows for easy installation. 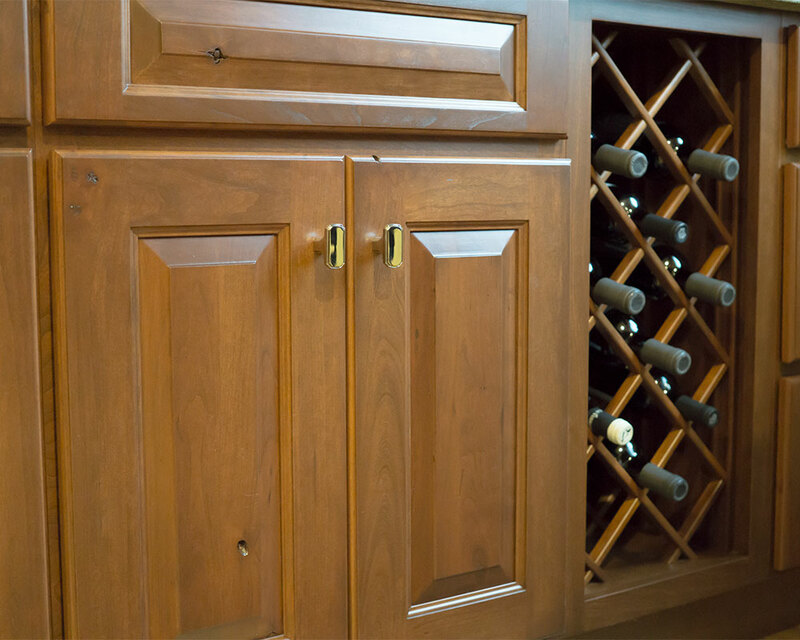 Impress your guests with your extensive collections as well as your brand new kitchen. 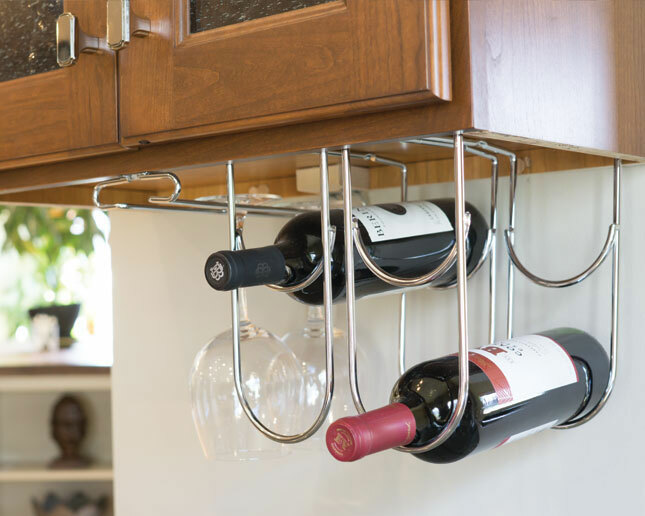 Browse our collection of stemware organizers and wine racks.